* 41 new kiths, 6 new Courts, three new Entitlements and more. 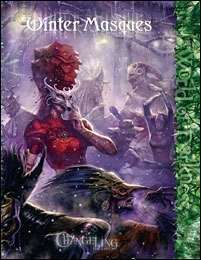 Winter Masques is a supplement for the World of Darkness game Changeling: The Lost. For use with the World of Darkness Rulebook. This title was added to our catalog on December 05, 2007.